Last weeks article we talked about legitimizing claims that Mfg’s are making in regards to Foot Files. I was actually quite surprised to see the very small amount of opens on the article. My goal, my passion is to Educate. I do this because I feel it’s important to give credibility to our Industry. Too often, we are thought about as glamour and glitz. The outside world doesn’t recognize the importance of our position as Nail Technicians. They don’t recognize we are often the first responders, as i’ve said many times. They don’t recognize we don’t just make our clients feel good, we literally have the opportunity to change their lives. We not only can transform the skin on their feet……we can transform their lives. In order for us to do this, we have to be educated on the facts. We have to understand everything from A – Z in Foot Care. The how, the why’s and especially the why not’s. 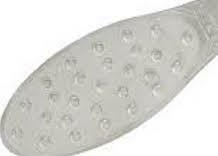 There are many types of foot files. How do you know which one to choose? Understandably it’s a difficult decision when every Mfg’s is touting their foot file to be the best. Let’s take a different approach. Instead of deciding which one to choose, decide which one NOT to choose. As depicted in this picture. The Foot Files of this style look exactly like a cheese grater. To begin with, look at the block of cheese and how it is “shredded”. 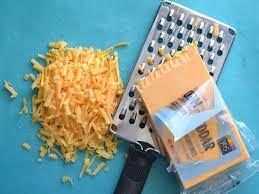 This is why when we want shredded cheese….we get our cheese grater. 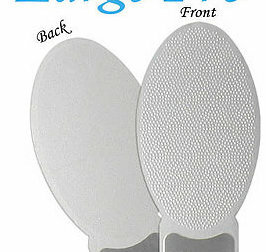 Do you think we are doing anything different to the skin on the feet when using this type of tool? Absolutely not. In addition, have you ever put your “cheese grater” in the dishwasher to wash? What happens if you leave it to not dry properly? It rust. Well hello……this is happening because it is not stainless steel….never mind “real” stainless steel. If you are using this type of file, I highly encourage you to rethink your processes. 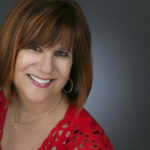 If you tell me this is what your clients wants? Well, I suggest you have each one of your clients sign a waiver. It’s only going to take 1X for someone to get an infection because of the serious tears you are doing to their skin. I hope you have good insurance. 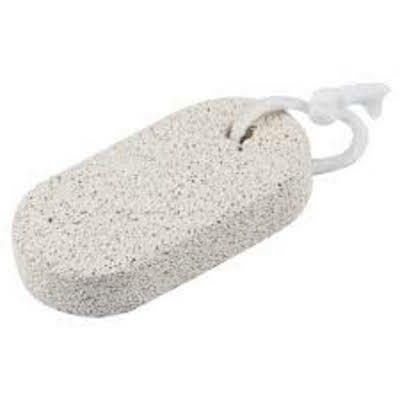 This next so called file is virtually just as bad….the Pumice stone. Do you realize that Pumice is volcanic rock? Volcanic rocks are usually fine-grained or aphanitic to glassy in texture. They often contain clasts of other rocks and phenocrysts. Phenocrysts are crystals that are larger than the matrix and are identifiable with the unaided eye. Pumice is widely used to make lightweight concrete or insulative low-density cinder blocks. Consequently you are filing your clients skin with concrete. Pieces of Pumice break off constantly. Where are these pieces going? If you have a client with cracked skin and or fissures and a piece of pumice gets lodged inside the skin……again, I hope you have good insurance. In addition, if you do choose to use a pumice stone, I hope you throw them away after each use. Pumice is a breeding ground for bacteria. There is absolutely no way in God’s creation a pumice can be cleaned properly for use after use. Let’s move onto probably the most used type of file in our Industry. Sandpaper. Single use or Peel and stick. Let’s begin by talking about “sandpaper” Do you know how it is made? Do you know what it’s intended use is for? I’m literally shaking while trying to write this article. Sandpaper is for smoothing wood NOT skin. Yikes! So you say you throw it away after each use. So you say you use the peel and stick. It doesn’t matter…..it is still sandpaper! Sandpaper is made of abrasive minerals like aluminum oxide or garnet that are glued onto a paper backing. Abrasive….Glued…..Aluminum oxide! All key words here my friends. 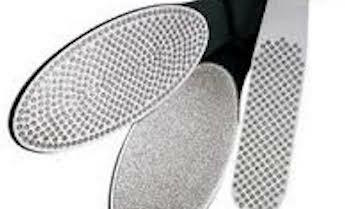 Abrasive is NOT what we want to use on our clients skin. In addition, the glue is a haven for bacteria as well. None of the above in regards to these foot files can be sanitized properly…..forget what you are doing to your clients skin. I say it again, I hope you have good insurance. A less familiar type of foot file, is a file which is made via forging, or forge pressing. Forging means to: make or shape (a metal object) by heating it in a fire or furnace and beating or hammering it. LOL….when I read this during my research, I actually did giggle. For real????? How on earth can we offer any type of continuity or evenness or smoothness to the skin on our clients feet when using a tool which has been made by beating or hammering? Sounds ridiculous doesn’t it? Not only are we guaranteed shredding of the skin, but think about this. How many hills and valleys are on this file where bacteria can hide? Can we ever get this type of filed properly cleaned? I would imagine not. I always like to describe forging by putting my fist through a balloon. You surely can see the undulations of my knuckles. C’mon people…….arrrgh, I get so frustrated. Working behind the chair isn’t always about making your job easier. Nor is it always about giving the client what they want. Your clients don’t know what the heck they want. WE have to educate them. Using improper tools on our clients feet is like using plastic play scissors on a haircut. Would you even think of it? The next process is what is known as “Chemical Etching”. Chemical etching is a sheet metal machining process that is used to manufacture complex components with high levels of accuracy. The process works by printing the component design onto a photo-resist which is laminated onto the metal. The areas of photo-resist which have not been printed are removed, exposing the metal, which is subsequently etched away. In layman terms, when a file is chemically etched, it is literally the exact same height from start to finish. It is calibrated to the most finite degree. There are no undulations for nasties to hide. There is no unevenness to cause shredding on the skin. It is without a doubt, the most accurate form of file making. The safest file in the world should not shred the clients feet. It should have the ability to be sterilized to the highest degree. It should have no undulations in the file for nasties to hide and it shouldn’t cost $1.50. Chemically etching, as shown in this file, guarantees not to shred the skin. In closing, understand even though Centre for Beauty endorses the AngelFeet File, I am in no way shape or form putting down any Mfg’s files. This is a Business education on what I feel is truly best for our clients. Choosing the files you use is just that….a choice. I recommend however, you make the best choice based on fact…..not just theory. I’ll continue this series next week. In addition, we will be making our announcement on our nest FILE BACK PROGRAM. 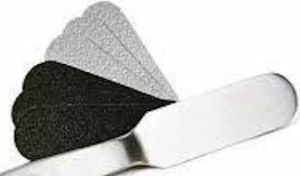 Are you ready to end your files to the Foot File Graveyard?